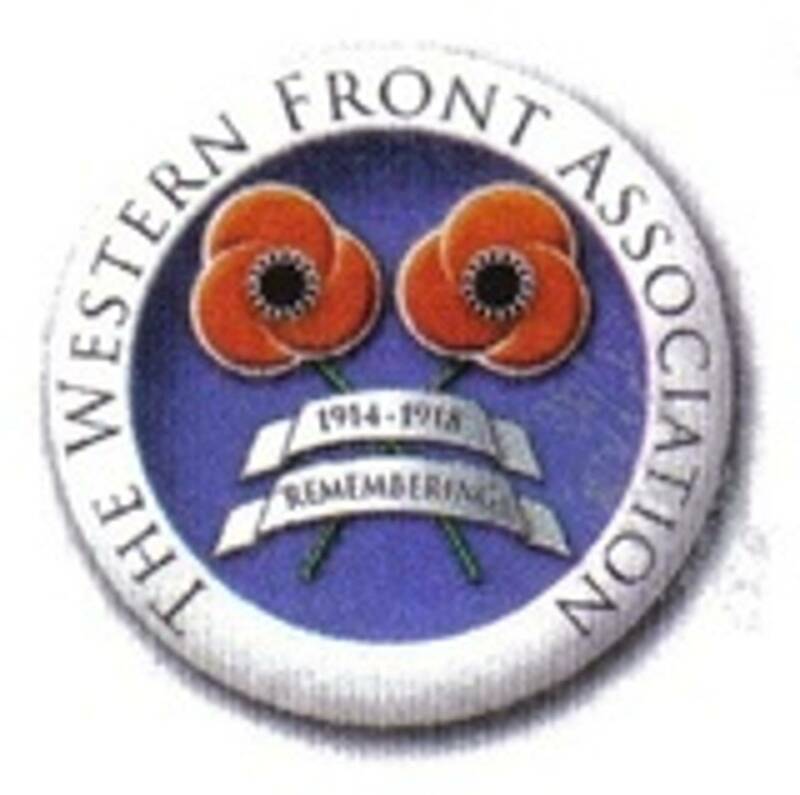 Dublin Western Front Association - The First Tank Attack. The Battlefield Debut of the Tank, 15 September, 1916. They were little forts running along on their bellies and as they went, they picked up all the metal they could find – barbed wire and the stakes holding it down – and when they got to the German lines they just pitched it over to them and killed the lot! Since the onset of trench warfare, British military and political leaders had wanted to develop an armoured vehicle that could carry troops over the shell-holes and barbed wire-strewn battleground of the Western Front. To this end, Winston Churchill set up a Landships Committee in early 1915. Thomas Brown of the King’s Liverpool Regiment explained what advantages the concept eventually offered. They were very cumbersome things at first, with terrific caterpillar wheels, you know. What they were very good at, of course, was that they were able to get across the trench, and they’d crush the wires. They did work that the artillery couldn’t do. Very often, our men attacked the German front line and found the wire hadn’t been cut by our own artillery. But as soon as the tanks came along of course they simply crushed the wires, you see even, if there were machine-guns. I think they frightened the life out of Jerry when he first saw them! The Landships Committee produced a prototype. It was successfully trialled and the Army ordered 100 such machines. Amidst great secrecy, the vehicles were field-tested at Barnham in Norfolk in mid-1916. Robert Parker was one of those who drove the first tanks there. We had charge of the tanks that were available then. We were ringed round with sentries and it was a £100 fine [about £4,500 in 2012] or six months imprisonment if we disclosed what we were on. Well we thought, ‘We’ve got a heavy load here to drive.’ We made ourselves acquainted with them and we built jumps. We knocked trees down and built ramps for tuition purposes and one of the tests was to balance the tank on the edge of a tree trunk up a ramp. British Army leaders were keen to use this new invention on the Somme, where an anticipated breakthrough had failed to materialize. Tanks were shipped out to France in August 1916 for use in an assault planned for mid-September. This allowed the infantry who were to fight alongside the tanks – such as Philip Neame – to do a limited amount of training with them. We were one of the first brigades ever to see a tank, I think. We were ear-marked to do our third attack in the Somme towards the middle of September when the tanks were first to be used, and so we were allotted one of the first tanks to land in France to do some training with our brigade. Everybody was staggered to see this extraordinary monster crawling over the ground, and we did what training we could with this one tank. Learning to follow the tank at suitable intervals and that sort of thing. It was a very limited amount of training you could do with one tank. The arrival of the tanks on the Western Front was kept secret from those who wouldn’t be going into battle with them. Horace Calvert explained how this was achieved. They were on the roadside covered with tarpaulin sheets: we couldn’t see nothing except a square outline and there was two or three around it, guarding it. And when we asked what it was, the simple reply was, ‘Tanks.’ We naturally assumed water tanks and we’d no reason to think otherwise. It was one of the best kept secrets, I think, on that front. Knowing the shortage of water, we thought we were getting reserve supplies to make sure there was adequate supplies. And that was accepted by all, I believe. Tanks were used for the first time on the Somme in the Battle of Flers-Courcelette on 15 September 1916. Once the secret weapon had been unveiled, British soldiers got their first glimpse of them. It was a sight which astounded many, including Sidney Taylor. And we saw these tanks coming over for the first time; they’d never been used before. It was a funny sensation to see a dozen tanks coming over shell holes, no stopping. Didn’t matter what they came over, they got over it alright, and it was horrifying. It gave you a funny sensation to think that all these were coming and they were on our side, they weren’t against us! But we realised that this was the very first time they’d ever been used. The 15th, I think it was the 15th of September, and you could see them coming and then when they got level with you and then they’d go over up to the front line. It was a wonderful sensation, really, to see them. But it was horrifying, you know. Forty-nine tanks were set to be deployed at intervals along the British assaulting line on 15 September. As part of 3 Squadron of the Royal Flying Corps, Cecil Lewis was able to view the attack from above. Not all the tanks were successful, but many were able to get through. The three used at Flers were particularly effective. Lieutenant Stuart Hastie commanded tank D17 during the attack. Having crossed the front German line, I could see the old road down into Flers which was in a shocking condition, having been shelled by both sides since the first of July, I imagine. At the other end of this road, about a mile away from where I could see, I could see the village of Flers clouded with smoke from the barrage which had come down on the top of it. Across the front of the village there was a trench which was eventually named Flers trench. And this formed the barricade in front of the village on the British side. When we got down to Flers trench and passing into the village there was a great deal of activity from the eaves under the roofs of the cottages and also from a trench which appeared to be further through the village. But certainly, the Germans were running from Flers trench and were pretty well evacuating that all the time. In fact they came out in one’s and two’s after that while we were still there. Private A Reiffer was a member of Hastie’s crew. He described the noise in the tank and the effects of the German fire as they moved through the village. I was a gunner in Lieutenant Hastie’s tank. We were going up to the approaches to Flers and there was a terrific amount of noise in the tank made up by the engine, the tracks, and the tumbling about of the barrels of oil and the various things that were in the tank. A terrific noise was going on. Our own barrage was going on outside and the German barrage. We went on up the Flers road and we were fired on by German machine guns. First of all, they were firing on the starboard side and the impact of their bullets was making the inside of the armour plate white hot and the white-hot flakes were coming off and if you happened to be near enough you could have been blinded by them. Fortunately, none of us on the starboard side caught it. But there was a Sugden, a gunner, Sugden, on the port side; he was wounded that way. Despite some German resistance, the tanks at Flers were able to clear the way for the infantry to take possession of the village. British officer Wilfred Staddon was among them. We got through the wire and of course there was quite a considerable approach to the Flers trench, it was a sunken road actually. We gathered together and rushed it; I had already seen a white handkerchief, perhaps it gave us a little courage. But anyhow, we got there. There was not a little slaughter in the village; however it was mostly the Germans. You can understand we felt not a little bit pleased with the casualties which we’d lost on the way. These first tanks were unwieldy, slow and unreliable. Many broke down or became stuck and only a handful made it through to the German lines. Lieutenant Vic Huffam, the commander of D9, ran into difficulties at Flers. Court in D14 started. Before he had gone two or three hundred yards he attempted to cross a disused support trench and as he crossed it, the tank weighed 28 tonnes; the parapet crumbled beneath him. His tail end or his back side of the tank disappeared into the trench. He scrambled out of his tank – quite a job – and he came back to me. Now we’d been equipped with very large iron hooks on the stern of our tanks and we’d wire hoses coiled on the roof. And Court was a particular friend of mine. So I manoeuvred up behind him and attempted to come alongside of him and cross in front of him and to try and tow him out. But, in manoeuvring alongside of him, my tank – my sponson, which was a protrusion on the side of the tank – got tangled with his and the two tanks were locked together. At the sight of such formidable weapons, many Germans fled in terror or surrendered. Monty Cleeve summed up this key early success for the tanks. It was a complete and utter surprise to the Germans that we ever had devised such a thing as a tank. They were so shattered when they first appeared on the Somme. The mistake we made then was as there was no opposition we were not prepared for that. Why didn’t we have our cavalry all ready to take over from the tanks and wipe the whole thing out? We could have turned the flank of the Germans in no time. But it took us by surprise, the success of the tanks, and we were so ill-prepared that nobody followed them up. Later in the war, British officer Andrew Bain came under attack from a German tank. His recollections of how it felt must have been similar to those of the Germans who faced the first tanks on the Somme. We were holding this line. And one day an alarm got up. And we saw this thing trundling through. We were firing, but we had nothing but small arms ammunition. And of course it was no use against tanks, we were blaring away at that. And it came lumbering on and lumbering on. And we were holding – there was a sort of depression – and the tank went down into the depression. Fortunately this was mossy, soft ground. And it got stuck and got grounded there. It was terrifying because we couldn’t stop it! There were no anti-tank guns in those days. Rifle bullets just skidded off them like peas, you see. And it was rather terrifying to see this thing coming and you knew that you couldn’t stop it. The achievements of the tanks in September, though promising, left room for improvement. This didn’t stop somewhat inaccurate rumours circulating about them, as NCO Ernie Hayward found. The comic fellow Bruce Bairnsfather gave a description of these here tanks which were going over and we were hearing all about. They were little forts running along on their bellies from the British lines to the German lines and, as they went, they picked up all the metal they could find – barbed wire and the stakes holding it down – and when they got to the German lines they just pitched it over to them and killed the lot! Yes, we heard some tall stories about tanks! Seeing these pioneering armoured vehicles go into action inspired some men to sign up for service in them. Norman Dillon was one such volunteer. I was sitting with my platoon, waiting to go up to follow the front-line troops who’d just advanced into the village of Flers. I was sitting with my sergeant by the roadside and at that moment I looked around and I saw a strange thing looming up through the darkness to cross the road. This enormous thing crossed the road in front of me and ambled on behind the troops. I realise now that I’d seen one of first tanks going into action. That’s what it was. I saw the potential straight away. I thought, ‘That’s the very job for me! I’m going to get inside that box somehow, because at least I shall have some protection from the weather!’ I thought that straight away and later when the demand came for volunteers to join this new organisation, I put my name down. Although the September attack hadn’t produced the hoped-for breakthrough, the potential of the tanks was clear. They were used again in the final stage of the Battle of the Somme, on the Ancre in November. Basil Rackham described their role in that battle. Then we heard that they were going to assault in the morning with tanks. Tanks were in their infancy then, they’d been used in September in the battles of the Somme. We were given six in our division to be used if we got into trouble. Well, we were in trouble! So they were to come up and assault the strong point. Only two arrived on the strongpoint mobile but, when they did arrive on the strongpoint, up came the white flags. It was alleged it was four hundred – I would say about two or three hundred at the most – Germans surrendered like that. The tanks just frightened them; they couldn’t do really much themselves. They were very thinly armed, they just arrived on the strongpoint and up came all these white flags and the Germans surrendered. 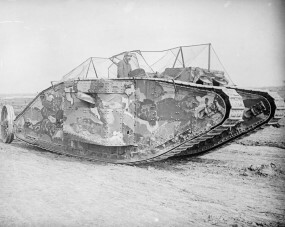 During the course of the war the technical reliability of tanks improved, but this didn’t happen in time to affect the outcome of the Battle of the Somme. After months of bitter fighting, it ended on the Ancre in miserable, wet, freezing weather and with no clear sense of victory. British officer William Taylor recalled the conditions there at the close of operations. It was dreadful because there was so much water about and there was, I remember, a broken-down railway station and a railway track all twisted. It had been shelled for months that area. It was one of the most unpleasant times, I think, of my experience there. It was simply a mass of shell holes; it was in a shocking state. The whole area, frightfully muddy and men marching along a road all flooded, broken-down trees and floods and mud. A frightful state, it was very, very bad. It was quite one of the most unpleasant times that I had there and we were very glad to get away from it a week later! The first official photograph taken of a tank going into action, at the Battle of Flers-Courcelette, 15 September 1916.